GOA – The immediate image I get of this lovely state is the beautiful churches, its clean sandy beaches, and the yummy food !! There are many dishes that are signature to the land of Goa, Feijoada is just one of the many ! 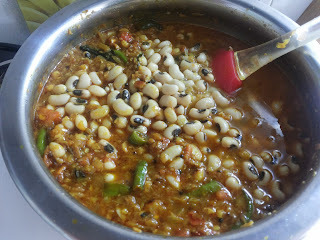 The name ’Feijoada ‘originates from feijão, Portuguese for "beans". Feijoada is a stew of beans cooked with meat, which is a typical Portuguese dish. Goa, being a former Portuguese colony, gets a lot of its culinary influence from Portuguese cuisine. This is also Brazil’s national dish, (the Portuguese took it there too). 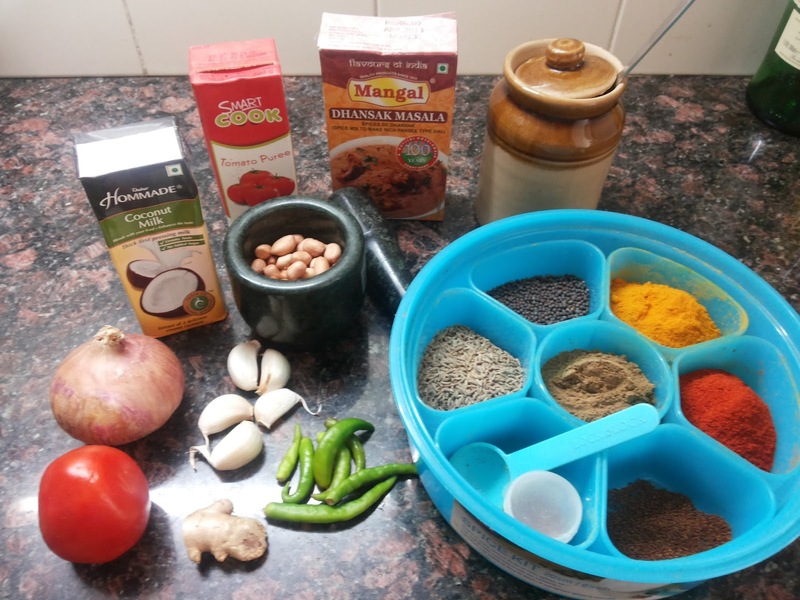 But the Goans added to this version the signature ingredients of their own cuisine, like coconut, tamarind, and warm, fragrant spices. 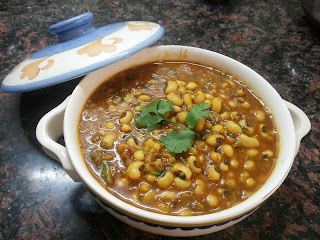 The result was a delicious stew that’s an absolute delight, creamy and full of flavor!! Normally this stew is made with meat, but I have made a vegetarian version of it today (especially on the behest of my vegetarian friends). I will be uploading the non-vegetarian version of Feijoada soon ! Soak the Black-Eyed Peas for at least 2 hours prior to cooking. 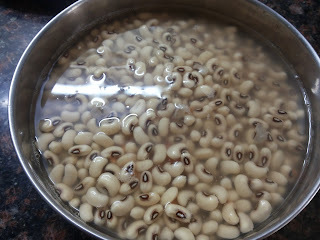 If you are using a Pressure Cooker, cook the Black-Eyed Peas for 7-8 minutes. If you are using a heavy-bottomed pan, cook it till it softens, which is ideally around 20-25 minutes. Keep aside. In a pan, heat the ghee/oil and add the cumin seeds. 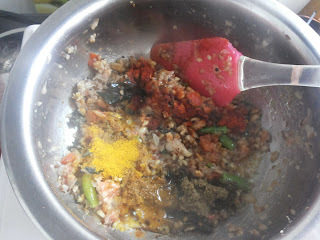 When it sputters, add the curry leaves and sauté for 30 secs. 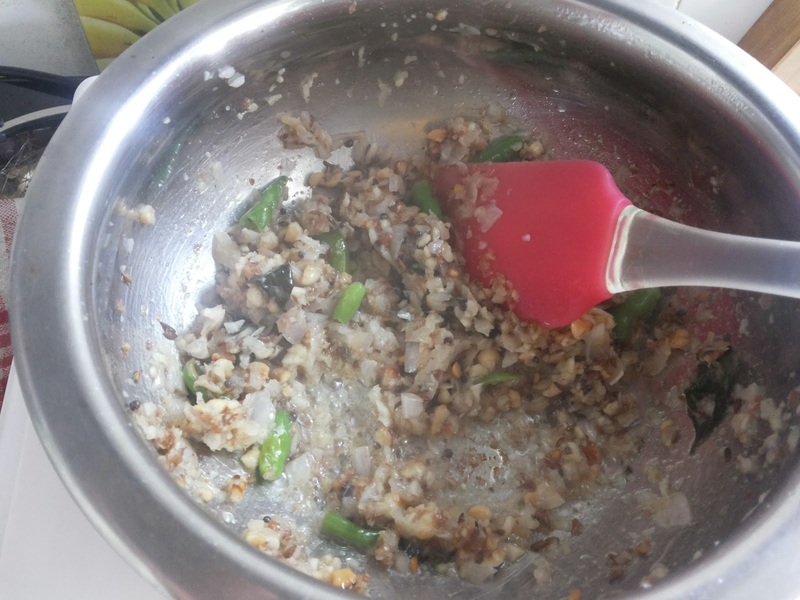 Next, add the onions, chilies, ginger, garlic and the peanuts and sauté on low flame till the onions have softened and the oil separates. 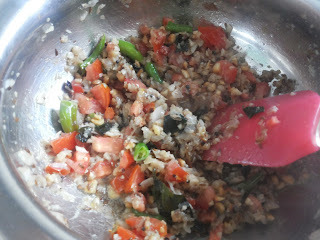 Add the tomatoes and let this mixture cook on low flame till the tomatoes become soft. Now add all the ground spices and sauté for a couple of minutes. 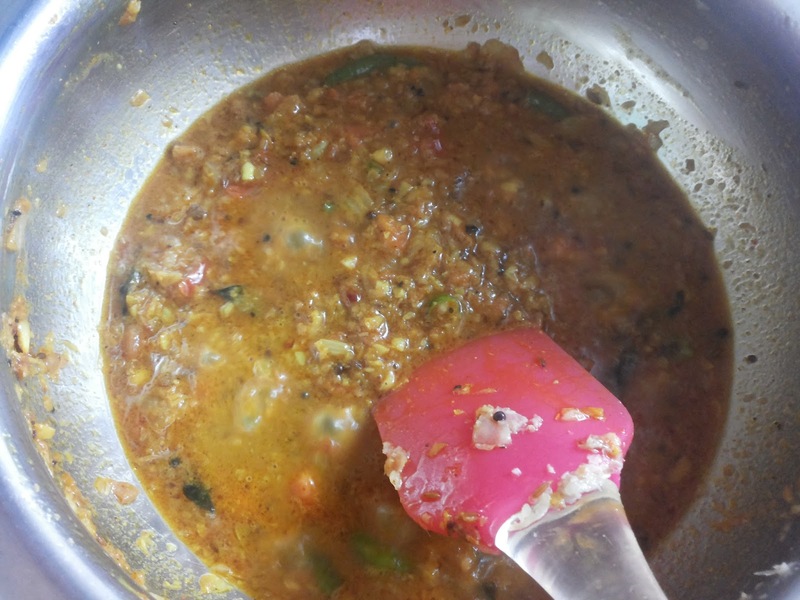 Add the tomato puree and the tamarind pulp and cook for another 2-3 minutes. 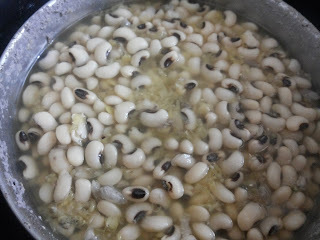 Add the cooked black-eyed peas, salt and water. Mix and bring to a boil. Let this stew simmer for approx. 7-10 minutes on low flame. Stir in the coconut milk and stir well and take the stew off the heat. Do not let the curry boil vigorously after adding the coconut milk or it will split. I served the Black-Eyed Peas stew with Roti (Indian Flat Bread). You can also serve it with steamed rice or bread.